This following section contains examples of how you can use Microsoft's X-Box 360 and X-Box One in authentic learning scenarios (or at least in engaging ways, prior to students then applying the learned skills in more authentic situations) within your classroom! Coupling an X-Box with Kinect (Microsoft's motion sensing unit) allows users with a Kinect compatible game to interact and control the console without a controller, instead using gestures and voice commands. This can be particularly useful in developing both the gross motor skills and oral language of children. Kinectimals requires players to befriend and interact with an animal and teach it to respond to voice and gesture commands. Watch the official short advertisement video and the 2010 E3 Kinectimals Launch video. Check out Canadian teacher, Jen Deyenberg's blog entry about how she used Kinectimals with her primary class during their integrated unit about animals. Note: This game and Jen Deyenberg's ideas can be extended outside of the classroom as Kinectimals is available as a stand-alone game for Android ($3), iOS (iPhone and iPad - $2.99) and Windows Phones ($3.49) and can unlock five new cubs in the X-Box 360 game! So much better than using the regular ten frames, Kinect Sports: Bowling or any of the bowling games on X-Box are perfect for teaching junior years students how to subtract from ten and make to ten. When bowling, students get to experience a fun and real-world situation wherein they can learn and apply basic numeracy skills. The basics of addition (counting on) and subtraction (counting back) can be taught, using the numbered pins at the top of the screen, as long as no-one gets a strike! There are a multitude of fitness titles that are designed for use with Kinect, such as Nike + Kinect Training, Your Shape Fitness Evolved 2012 and Zumba Fitness Rush, that are great for teaching senior years students (in both primary and secondary schools) various health related curriculum, including exercises and related vocabulary (e.g. 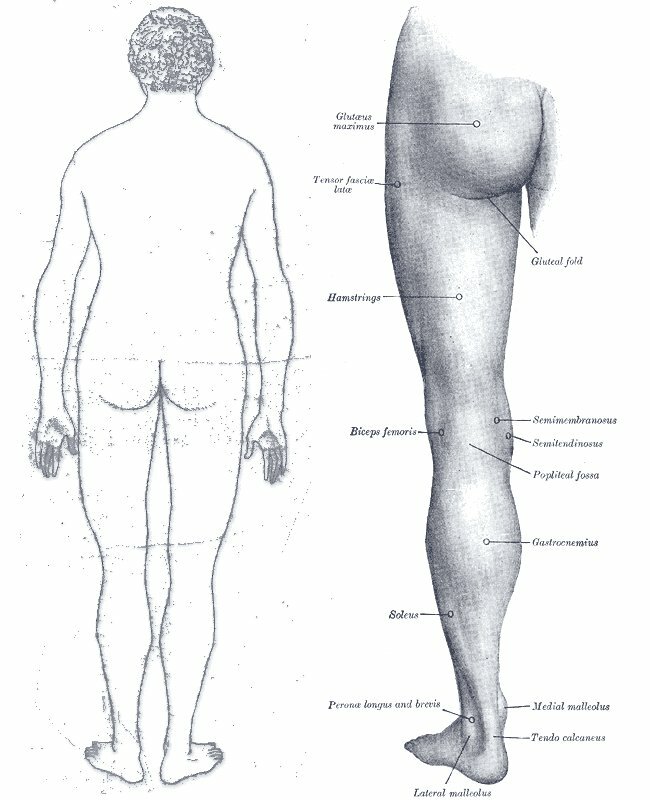 muscle names). Combining work-out sessions with print outs of the relevant parts of the human body, students can highlight and name the various muscles they feel whilst working out and stretching and note down the name, number of reps or duration of each exercise/stretch. Minecraft's graphics may look like they belong to a game straight out of the 1990s (remember Castle Wolfenstein?) but there is no denying just how much it is loved by kids. Minecraft is often referred to as a sandbox game, as players can do anything and build anything using their imagination. Build, collaborate and share worlds using unlimited amounts of items (Creative mode). in order to build a pickaxe to mine more efficiently, the player must first punch down trees to harvest wood, mine for ore, build a craft table, and build the tool themselves. Minecraft's Creative mode is also being used by councils and the United Nations to include residents in the town planning and urban redevelopment processes! Read more about the projects here. Ensure that the use of Minecraft fits within your relevant curriculum, as is demonstrated in this Minecraft unit planner and shown in the ideas below. Create a Minecraft lesson student and parent guide and permission note. Create a professional starter activity to guide students, staff and parents in learning the required basic crafting skills. Meet all of the considerations listed further below. If educators are looking to use Minecraft in their classroom via desktop and laptop computers, they should consider using MinecraftEdu. MinecraftEdu is an official paid educational version of Minecraft created/modified by teachers to include tools and content for classroom use. Unlike Minecraft, MinecraftEdu is only available for Windows, Mac and Linux PCs. 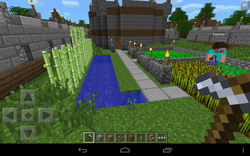 Visualisation: After reading a text, students can use Minecraft create visualisations of the settings from a story. Check out these Minecraft visualisations of famous movie and television settings. Narratives: Students can use Minecraft to tell digital stories. Watch one such video here. Various: Pre- and Post-game reflections, walkthrough guides and character biographies. Access more details here. History: Students can build or explore historical buildings and then film virtual tours to replicate those seen on the History Channel. Check out this lesson for replicating the Tang Dynasty capital city of Chang'an (7th-10th century). Design: Students explore the process of design thinking and apply it in real-world and Minecraft scenarios using this lesson guide. Create Minecraft inspired artworks by hand or via a digital device. 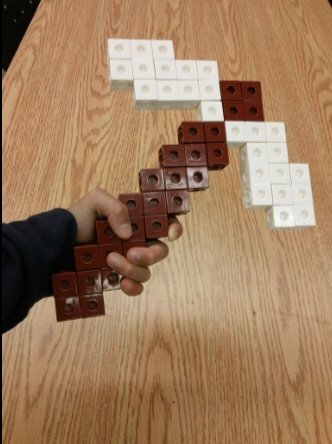 Checkout this Minecraft pickaxe. Volume: Measure the volume of a Minecraft block. Access a lesson description here. Fractals: Access a lesson for identifying and creating fractals in the world and in Minecraft here and here. Measurement: Minecraft uses the metric system; each block is equivalent to 1 cubic meter. Students can use this information to create objects of a certain dimension, determine the length, height and depth of objects as well as calculate the volume of various objects. Check out this virtual tour of a student's house. Schools can create or join multi-classroom or multi-school servers, which can bring students together from different classes or schools (e.g. sister schools or local schools) to work and play with each other or along side of each other. A common set of rules should be drafted between the classes/schools using the server. Common activities that all students from each class/school participate in can be created, Access sample lessons here. Some argue that Minecraft is the avenue to finally close the gap in male and female programmers. Read more here. Use the qCraft mod created by Google to learn the basics of quantum physics. See the video here. Teach the periodic elements using this guide, neurotransmitters here or states of matter (solid, liquid and gas) here. Does using Minecraft fit within the curriculum that you are required to teach (see the ideas listed above and access a Minecraft Unit Planner here)? The cost. Access a cost guide here. Play Minecraft (access a quick guide to surviving Survival mode here). Read about other educators experiences of using Minecraft in the classroom to develop an understanding of the complexities of the game and access YouTube videos for Minecraft and MinecraftEdu teachers..
Gain feedback from students and parents on their positive and negative Minecraft experiences. Contact the school's IT Administrator or Coordinator to (i) determine whether the school's computers/devices and bandwidth can meet Minecraft's or MinecraftEdu's system requirements and (ii) to install Minecraft on a school computer. Choose to use either Minecraft (all platforms) or MinecraftEdu (Windows/Mac/Linux only). As Minecraft it is a paid off-the-shelf game, schools may be able to save money as the students may have already purchased personal accounts to play the game. A purchased license for Minecraft is also transferable to MinecraftEdu and vice-versa. Schools are allowed to give students access to Minecraft or MinecraftEdu to use at home only if they are using it to participate in a structured learning program or activity organized by your school or organization, for example connecting to a school server from home to complete 'homework' outside of the school day. Access an easy-to-follow guide for purchasing Minecraft accounts for students here and a more in-depth guide here. Choose to use either your own personal Minecraft server (see Step 8) or join a maintenance free Multi-School Minecraft server. Contact the school's IT Administrator or Coordinator to determine if they permit and have the skills to set up a Minecraft server (for a small monthly fee user can choose who has access to the game and configure settings - e.g. no violence, swearing, etc.). Access a comprehensive guide to setting up Minecraft servers here and here. They must also determine the version of Minecraft that each student is using to ensure that their version number matches the version number of the server that the school is using. They must also set up a white-list of users who will be able to access the school's Minecraft server (learn howhere). They may want to install Craftbukkitt to allow for the future use of plugins. including these essential 5 Minecraft Plugins for educators. If using Minecraft, also give students a list of protected private servers they can access (Free: Massively@joykadia and GamingEdus, Paid: Craft-Academy Educational Minecraft Model). Establish a set of fair rules for the use of Minecraft and discuss the following real examples of student disputes when using Minecraft in school (here and here). Ensure students are using a suitable avatar name (in MinecraftEdu) and any associated choices are discussed. Give the students and teacher supporting resources to assist their understanding of Minecraft such as Minecraft Wiki and BukkitWiki to help them when they are experiencing difficulties completing any tasks. Teachers and parents can read this sample Minecraft Beginners Guide to learn more about the Minecraft game-play. Set time-limits for playing Minecraft outside of school in partnership with their parents.